Choose 'Start with New Label Format' or 'Open with Existing Label Format' and then click on 'OK' button. 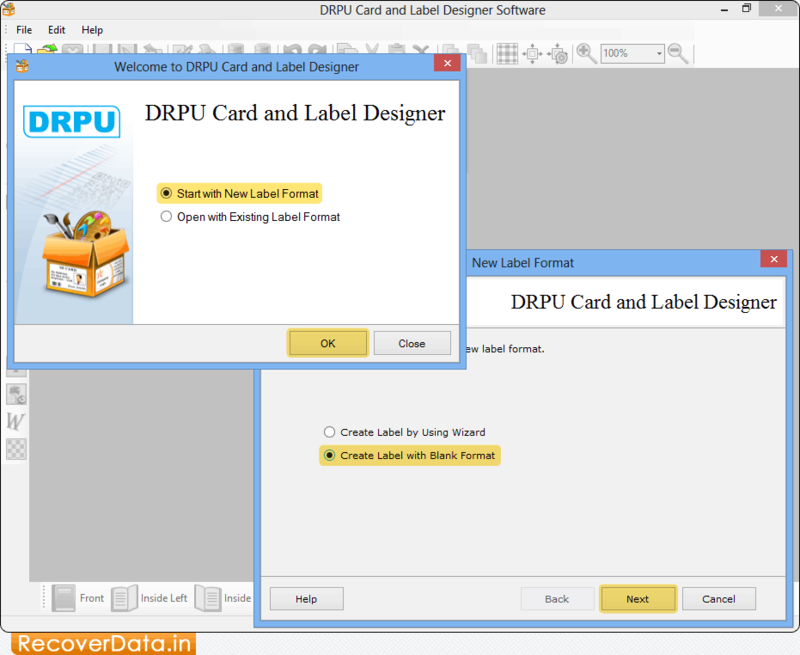 If you will choose 'Start with New Label Format' then create Label by using Wizard or with Blank Format and click on 'Next' button to continue. 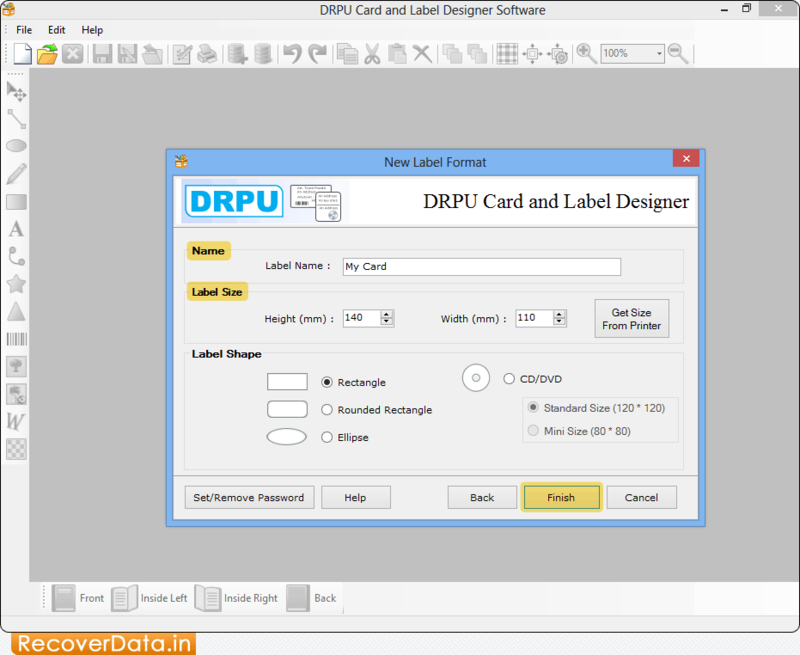 Specify Label Name and Label Size according to your needs. 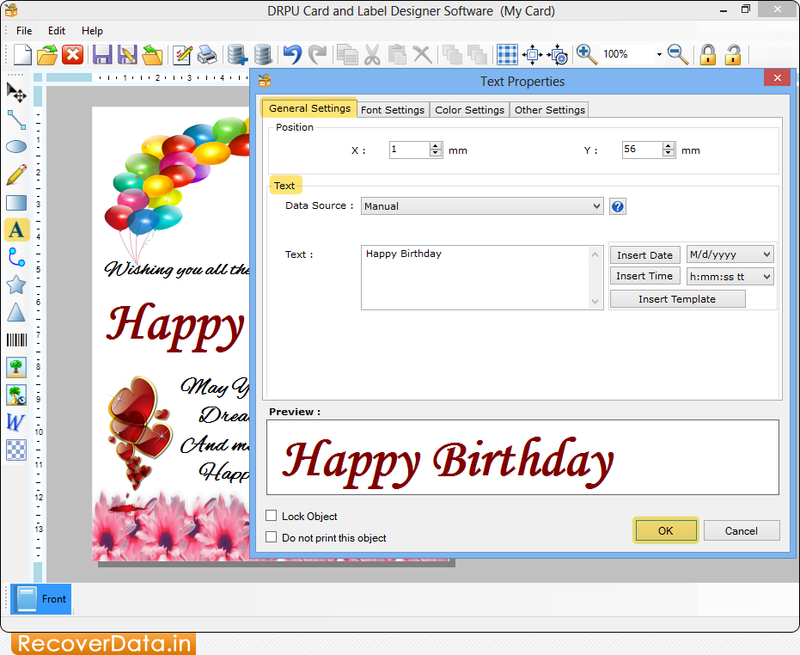 You can add text on the card using Text Properties. 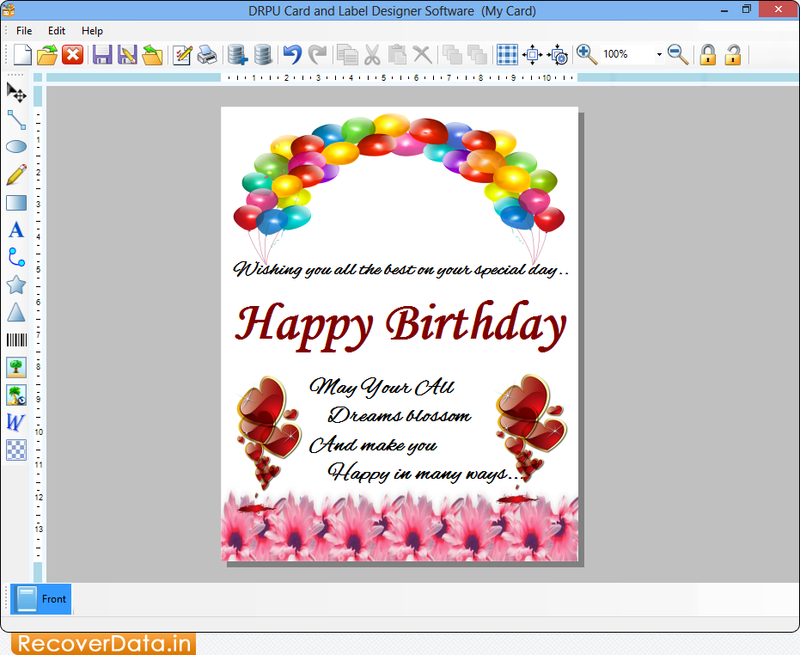 Here, you can see the front view of designed card.